Outside the city, beyond your expectations! Nestled in the tranquil countryside, The Pawza captures the essence of hospitality while summoning a sense of serenity inspired by nature. We offer an entire new level of sophistication and luxury, tailor designed for those who expect the exceptional. The Pawza features Presidential Suites, cottage rooms and palatial State Rooms which boast luxury and elegance in two hundred and thirty square feet. From the luxurious and elegant décor to the impeccable guest services, The Pawza is an exceptional pet hotel that offers every imaginable indulgence for our guests. 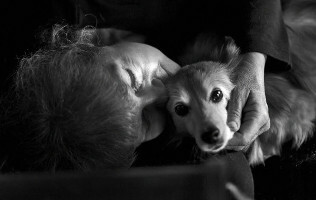 Anne Graber holds the key to The Pawza which unlocks unrivaled service and luxury this quintessential dog hotel. As CEO, Anne envisioned a place where she would feel comfortable leaving her own pets. Her motivation to create a world-class dog hotel was simple; dogs require a safe and nurturing environment when away from home. Anne is also is an experienced critical care veterinary nurse who can accommodate dogs with various special needs. Please make reservation well in advance; this is paramount during peak holiday times when reservations are often booked two to four months prior. If guest is a “first-timer” please consider presenting for a minimum of two sessions of day care in order to familiarize them with our venue and staff. This will greatly allay most apprehensions that may be otherwise experienced. This also affords our guests the confidence that guardian will return. In order to reduce check-in time for initial visit, please complete online registration prior to check-in. Please submit complete name and phone number of veterinarian when securing a reservation so confirmation of vaccine history may be retained well in advance. Pets sense and reflect our personal emotions, please do not stage an emotional farewell scene upon check in. Guests will feel unnecessarily anxious and apprehensive about their visit if subjected to this kind of dramatic emotional display. If guest is apprehensive and anxious it is advisable that guest see guardian exit prior to checking into accommodations. Relax and enjoy your trip! Remember, guests at The Pawza are in the hands of capable and caring professionals. This is our passion. Please do not allow pet to overindulge in water and food consumption after check out! This is often a common occurrence resulting from hyper-excitatory state of being reunited with family and home. Excess water consumption may result in gastrointestinal distress referred to as “bloat” (more common in large and giant breed dogs) that is life threatening and should be addressed immediately by nearest available veterinarian. If pet appears to be extraordinarily thirsty, provide a few ice cubes or crushed ice, rather than water. Allow them to calm down for four hours before offering food. Guardian may also notice pet appears inordinately fatigued. This is not due to absence of rest but due to over stimulation of the senses, similar to children attending summer camp or adults vacationing. Let sleeping dogs lie. In case of emergencies, check-in and check-out may be scheduled with applicable charges. New Years, Memorial Day, July Fourth, Labor Day, Thanksgiving and Christmas. Error: Error validating access token: Session has expired on Friday, 08-Mar-19 07:15:06 PST. The current time is Thursday, 25-Apr-19 11:42:01 PDT.